As my final project for my Chinese class, I did an hour-long presentation on what I learned from my travels and wrote an essay on the same topic. The following is the culmination of nearly a year away from work, home, family and friends...only to discover a whole new kind of work, home, family and friends. I've included the Google Translate version in case you can't read Chinese and mostly because it is hilarious. Hello, everybody. I am going to tell you that I travel this year. Introduced me to see, learn, eat anything. But this from my parents talking about the. My parents grew up in Taiwan. When they were young to emigrate to the United States. Moved to the United States is to find more and better opportunities. However, the opposite of my situation. I have the opportunity to leave when the United States, it intends to return to Taiwan. Because I grew up in the United States, some Chinese language will not say. Grandfather grandmother always because I do not know, so I find it very sad. Intend to leave the United States in order to better understand the culture of my family with me. I decided to save money, save up, and then give up my job. Then I began to prepare to move into Taiwan. In recent years I not only to Taiwan but also to travel around the world. I spent almost 10 months time series to several different countries. The first time I saw so many countries, originally did not even try it saw food, and made many new friends. I went to Greece, Italy, Spain, Morocco, Philippines, Thailand, Hong Kong, Japan, Sri Lanka, Taiwan, the place for me to get ten more satisfied with life. Teach me how to appreciate them simple happiness. However, each have their own teachings. I learned how to find cheap in Greece, hotels, make Greek salad, and enjoy the beauty of history. When in high school I studied art history. Former Greek art and culture is my favorite subject. However, seen only in textbooks of their sculptures, buildings, with the arts. Not a true understanding and appreciation of their artistic. My time in their temples, while slowly, watch and learn with the previous capacity of human effort. Because 2000 years ago people could build out the Parthenon, so I should be able to build a satisfactory life. Ratio of these two things together, I feel life is very simple. I learned how harvest olives in Italy and enumerate. In general, people do not know their food came from or who species. I was also like this, but I found work in agriculture when I was very lucky. Because my parents have restaurants, so I want to eat anything, you can eat. Never need to work for the food! Although agriculture is very hard, but those farmers who taught me how to balance work with life. We got up at sunrise every day, but in the afternoon on a two-hour lunch to eat outside. No matter how busy will stop our work and see the sunset every day. No matter what you are to do, you will put aside the matter with everyone enjoy the sunset. I visited the Picasso museum in Spain to a very large, very well-known market, but also eat a great sandwich, a lot of people say that it considered the world's most delicious sandwiches. Silk clothing Yushi Barcelona taught me how life is like. Before I like to go to expensive restaurants spend a lot of money. But because I left work from the beginning, I can not spend so much money, so I decided to eat in Barcelona in Spain, my last dinner. I go with my friends, we heard that home is the best local restaurant to eat. We both spent more than six thousand NT dollars, four hours, but incredibly worthwhile! Morocco taught me how to ride camels in the desert, so Moroccan, free riding, and confidence. Do not have a very clear plan. When I went to Morocco, a project no. No hotel bookings. Do not know are going. But we do not have any problems. Find places to go every day, but also find bed to sleep. Find that I do not worry, as before. It took more time to prepare with a plan, it may not get implemented. I learned how spicy Thai dishes to pieces. Also learned how to endure different habits friend. I live with is not very good friends to travel together. I feel a bit annoying to spend time with people who get along very healthy for your heart. They taught me how to adapt to new circumstances, with the appreciation of each person. To me, this attitude is very important. Philippines taught me how to play properly. I am in the forest, ocean, waterfalls, hills, rivers, and caves to play, beautiful. Hong Kong taught me to eat pork. Japan let me know the benefits of simple. Although most of their food, temples, national parks, with the arts are another delicate and simple, but very charming. I understand loyalty to Japan. I watched a baseball game in Osaka. I told my friends in the stands to give them fuel. Osaka's baseball team that day did not get points, and their pitcher to vote several consecutive balls. But because their fans are excited, but also team spirit, so they out of the limelight. The other side won, but the match was brilliant too impress! If you have the opportunity to go to Japan, baseball is not to go to Osaka. I will not get angry. Now I do not Pazang dirty things. What can I eat and drink. Sri Lanka do not need knives and forks. Only eat with their hands. They also put food on the paper inside. They do not clean the box or the bag. Has been used with a sheet of paper, like the children's work, transcripts, or the old list, whatever. I thought I came to Taiwan to study Chinese, did not think I would learn so many things. 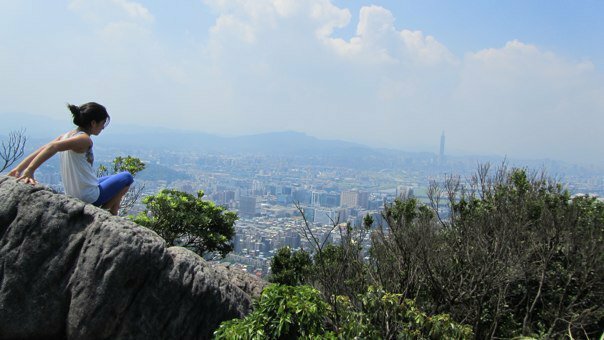 Taipei is not only taught me how to write, read Chinese, but also what I learned for me is the ideal life. Should be to decide which to choose life, so every day into a new adventure. I also found in Taiwan, I love natural beauty. Mountain climbing with climbing in Taiwan began. Did not think I have the strength to do the exercises. Originally, I was afraid to speak Chinese, but now almost be it! Originally did not think I have enough strength, but now I have to prove their strength. I also do not speak Chinese, but I learned how to travel. Good to travel, no matter how much money you have the opportunity to go to any country or. Will you take to travel, to see what you think. I intended to travel because I like to eat new things to see and enjoy the art and scenery, but now I think for me the most important benefits of travel is not such a simple thing. The idea is to get better. When I was small I can easily get lost, and the map is difficult for me to understand. Went to 10 countries, it has nothing to do with finally found lost. Sometimes you have to get lost before they can find something new. When I travel, there are times I walk around in a strange place, suddenly see the particular market is still very beautiful scenery. Of course I still love to travel abroad. But if I want to be a new experience, do not travel to far away. Whether you are 18 meters under sea level scuba diving, mountain climbing 3952 meters, or stay at home, as long as curiosity, attention, appreciation of your environment can be felt. Must use the eyes of tourists look at everything. I returned home, whatever I see in supermarkets, post offices, or office buildings, should be like a museum, Yushan, or as a beautiful sunset. I can't believe how much Kandy we crammed into just two days! 1. Went for a run around the lake. My second time around I noticed so much more (plants, animals, men bathing)! Just shows you how important it is to take a closer look at things. There is so much to gain just by paying a little more attention. Saw turtles, giant crocodile-sized iguanas, ducks, so many kinds of birds, snails the size of my fist and a monkey riot! There were over two dozen jumping on cars and causing an awesome raucous. It felt like Kenmore Square after the Red Sox won in 2004. 2. 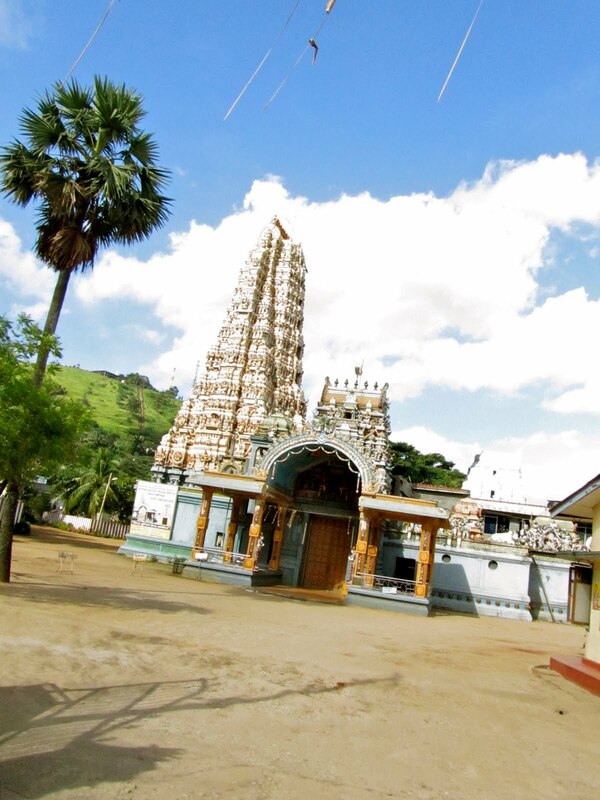 Temple of the Tooth: The sacred relic was obtained from the sandalwood pyre in which the Buddha was cremated. It has a long history in Sri Lanka, before it arrived in its current resting place in Kandy. 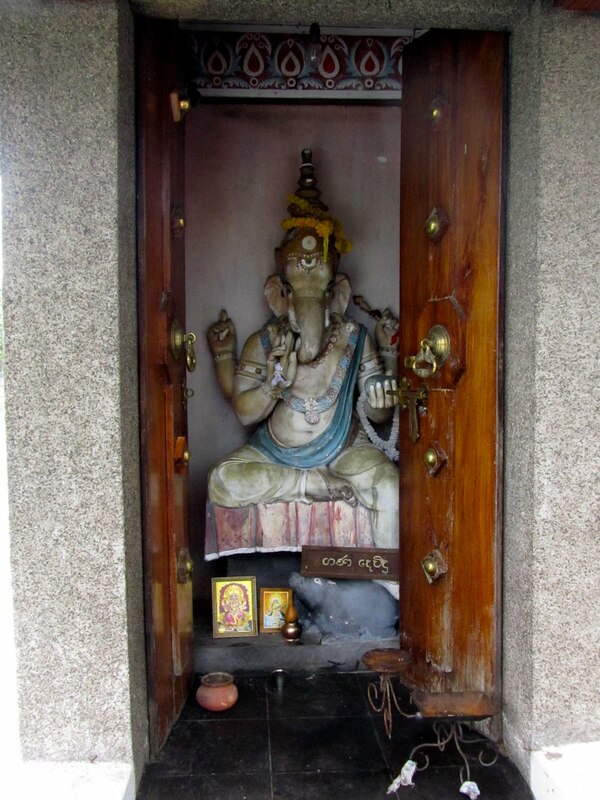 My favorite part was actually the story of Raja the Maligawa Tusker, whose body was taxidermied and has its own little shrine on the temple grounds. Apparently when the elephant came across the sacred tooth relic, he kneeled down as if to pay his respects. From then on it was his and only his privilege and duty to transport the tooth as it traveled from town to town. 3. Hit the shops: included tea, scarves and spices. Some awesome finds! 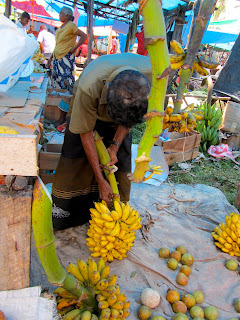 Thank goodness for our Sri Lankan hosts and "local" prices. 4. Tea plantation. I never realized how tiny the actual usable part of the plant is. What tedious work to harvest! I'll have to remember this the next time I enjoy a nice cup of tea. 5. Drive through the hills above Kandy. The light was gorgeous! Views that help you understand where cliches such as "breath-taking" and "awe-inspiring" come from. 6. 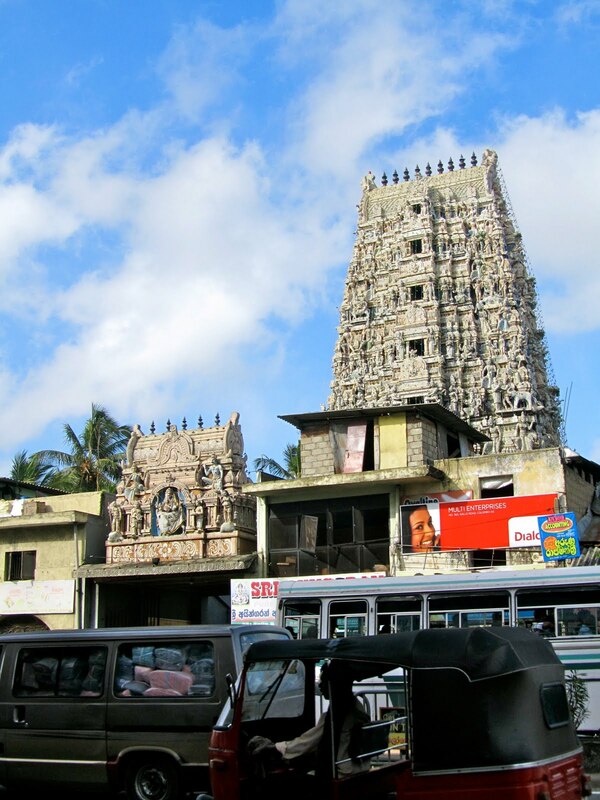 Drive through downtown Kandy in a trishaw. Makes you realize where cliches such as "death-defying" and "scared shitless" come from. 7. Traditional Kandyan dance show. Interesting costumes, fun instruments, fire dancing, hot coal walking. 8. Hiked around rock caves and giant rock of Sigiriya, home to a monastery in 1-2 centuries BC and then the palace/fortress of King Kassapa later on (plus his hundreds of mistresses). 9. Several quick, drive-by views and activities on our way back to Kandy from Sigiriya. Wood carving workshop, Golden Temple at Dambulla, fruit stand where I tried bale fruit, "Ayurvedic" (legitimacy of this place questionable) spice garden tour (aka the place where I was offered "a full body massage, ma'am"), Aluvihara rock cave temple in Matale, Hindu temple in Matale. 10. The food: bittu (rice-shaped noodles made of coconut and flour), more curries of course, egg hopper (an egg fried inside one of those thin crepe bowls), egg roti, parata. 11. Drinks with cast and crew of Sri Lankan cricket film at Queen's Hotel. Met the Sinhalese voice behind Antonio the mouse on "Tom & Jerry." He's also guest-voiced for a few villains on "Scooby Doo!" 12. Three-hour dance party in room nine at Devon Hotel to send me off properly for my 2 a.m. solo ride to the Colombo airport. 13. The next time I'm given the opportunity to take a risk and embrace spontaneity, I hope I will always remember this trip. It doesn't have to mean spending a month's worth of income on a plane ticket across the world, but I'm glad this time it did. We opted to take the train for the six-plus hour ride from Hikkaduwa to Kandy as I heard it was "unreliable" and was looking for the adventure of a scenic train ride and the good photos that would inevitably result. We were not disappointed. 1. Sri Lanka is truly beautiful. At times the tracks ran parallel to the palm tree-lined Indian Ocean -- so close that it felt like we could graze the waves with our fingertips. At times verdant and lush. At times embelished with dilapidated shacks and bony cows instead of the waves and palm trees. 2. Train snacks. Our lovely Sri Lankan hosts treated us to a number of goodies from the peddlers passing through the aisles. Lentil fritters. Spongy, coconut oil bread. Corn on the cob. 3. The cars got so packed that men were literally dangling off the side of the trains for hours. As every banana leaf, sign post and tree branch whizzed by, I held my breath and sighed with relief upon confirmation that our side door friends' limbs were still all intact. 4. For the second half of the ride, two goofy Brits were forced to cram into seats directly across from us. They were impossibly chatty and I would say obnoxious if I didn't find them so endearing in the most tremendously entertaining way. It was like watching a three-hour spin-off of "The Office" that involved a pair of young med students lost in Sri Lanka instead of employees at Wernham Hogg. My dear friend Candice did not agree, but she also admitted that she hates British comedy. 5. Inspired by the dangling man, I too hung from the side of the moving train for a bit...just for fun. And it was! I'm finally OK accepting that about myself. The drama tests me and keeps things interesting. I look back at my childhood and appreciate all the conflict because it helped me grow. Now, because I know the drama of life can't be avoided, I almost relish it...every problem or awkward situation is a new opportunity to watch how I internalize discomfort. And it's getting to be quite comfortable. After what was a pretty unstable upbringing, there's a balance of conflict and resolution and of sadness and happiness that I'm slowly understanding more and more. I needed that dark period to be able to enjoy the lightness of my life today. My dear friend and current travel companion Candice put it beautifully when she described the contrast of our first two days in Sri Lanka: "I don't think we could have appreciated today without yesterday." 1. Breakfast of string hoppers (noodles made of rice or flour and formed into floppy, thin disks), curry, veggie and fish roti, samosas, stir fried rice. The flavors here are so intense. A very heavy hand used with salt and all these amazing spices. 2. 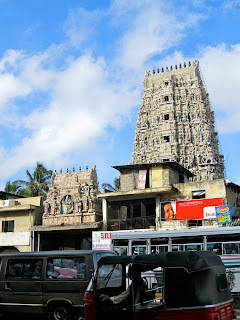 My friend's friend's Sri Lankan friend arrived from Dubai and gave a wonderful tour of places of worship in Colombo (with almost every major Sri Lankan religious temple represented with the ironic exception of a mosque as most of the group is Muslim). The highlight for me was the Gangaramaya Buddhist Temple. We even saw a Protestant church! Fun fact: Telling of what a big part of the culture the diversity of religions is here, the Sri Lankan flag is made up of three blocks of colors -- green, saffron and crimson, which represent Islam, Tamil and other minor religious and ethnic groups respectively. 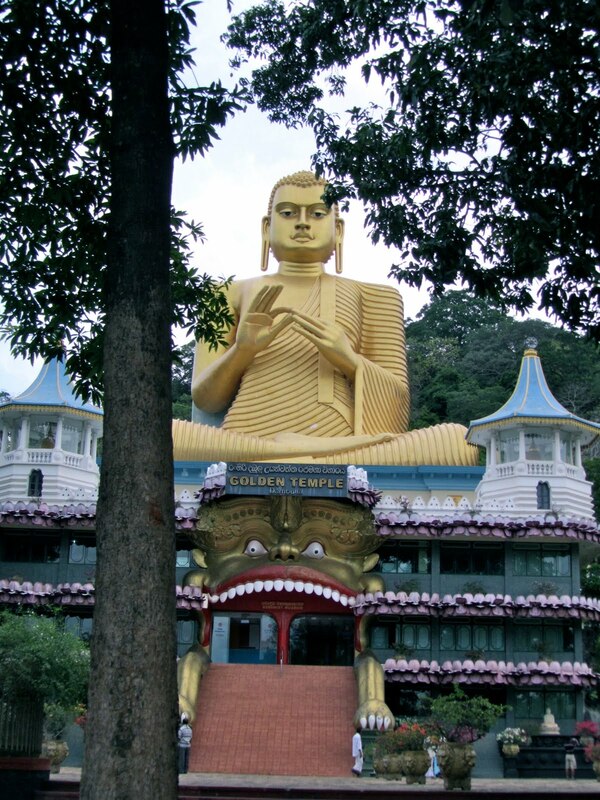 Buddhism, the country's major religion, is represented by the four leaves of the Bodhi Tree. 3. Stroll through the beach. Admire Indian Ocean and a mix of adoring and angry looking couples under umbrellas. 4. Went for a lounge around and a dip in the hotel pool. 5. Dinner of Kottu Roti, which are chewy noodles made of sliced roti. The fast paced chopping is so rhythmic and entertaining -- it is the most musical meal I've ever seen prepared. 6. Hit the clubs. My travel buddies are an incredibly dynamic, thoughtful and fun bunch. They also hang with fro-yo shop tycoons and Sri Lankan American rappers. I'm not cool enough to have heard of the rapper guy, who is now apparently starring in a Sinhalese movie about cricket. However, I was very familiar with the fro-yo shop...wonder what that says about me. I later found out that the rapper was trying to take advantage of me the whole night. Neat, right? Maybe I could have morally compromised myself into the next music video.